Never played paintball at TNT Paintball before? Not sure if it’s going to be something you will enjoy? We are so confident that you will have a blast at TNT Paintball that if anytime during the first three hours of your day at TNT Paintball you want to call it quits because you aren’t really enjoying yourself, all you have to do is hand in your rental gear, and we will give you a full refund on your field fees and rental costs (paintballs cannot be refunded). 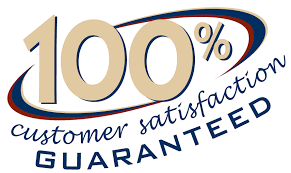 With the Satisfaction Guarantee at TNT Paintball, there is no reason not to give paintball a try. Note: This offer is valid for first time players at TNT Paintball taking part in our Renter Only (.50 calibre) or .68 calibre paintball games and is limited to local residents only, residing from Duncan south to Victoria or on any of the Gulf Islands. This offer is not valid for Splat Ball parties.